Charlie Gallant was a manager for the Protective Life Insurance Company of Jackson, Tennessee, when he traveled through Fayetteville on a business trip in the early 1950's. He fell in love with the town and decided to move his young family to Lincoln County and purchase the Raby-Galloway-Wilson Funeral Home. Charlie's father had worked in funeral homes when he was a child and Charlie had previously worked as manager of Squire-Gentry Funeral Home in Shreveport, Louisiana. 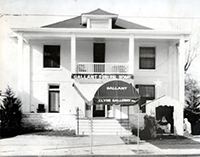 In 1952 Charlie and Lee Gallant opened Gallant Funeral Home at 119 North Main Avenue. Lee Gallant was a very important part of the funeral home. Her compassion for grieving families and her genuine interest in the people of Lincoln County was invaluable. Lee became the first female licensed funeral director in Fayetteville and worked as a licensed funeral director for over fifty years. The Gallants operated an ambulance business out of the funeral home for many years. Lee was the only female ambulance driver until ambulance service was abolished at all funeral homes in 1972. 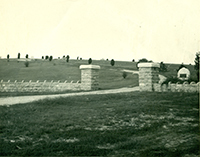 The Gallants acquired Riverview Cemetery in 1962 and surrounded it with a perpetual care memorial garden now known as Riverview Memorial Gardens. With the desire for expansion, they built a new funeral home facility in 1964 and moved to its present location at 508 West College Street. They were very involved in the community and participated in various clubs and organizations. Lee worked as a volunteer with the American Heart Association serving on the executive board along with the Business and Professional Women's Club. She was also a member of the Eastern Star. Charlie was past president of the Tennessee Funeral Directors Association and was on the board of directors for Tennessee Vault Company. He was also a Mason, a member of the Shriner's Club and a past Exalted Ruler of the Fayetteville Elks Lodge #1792. In 1987 they built a second location of Gallant Funeral Home in Hazel Green, Alabama. Brad Gallant, Charlie and Lee's oldest son, became manager of the new funeral home. Together Charlie and Lee owned and operated Gallant Funeral Homes in both Fayetteville and Hazel Green until Charlie's death in 1991. After Charlie's death, Lee and Brad continued to operate both funeral homes and cemetery. In 2003 the funeral home in Hazel Green was sold due to Lee's declining health. 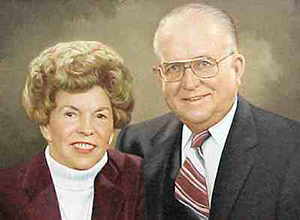 The Gallants purchased McCauley Funeral Home in 2005 and continued to operate the funeral home on the basis of providing the superior service. Despite her health, Lee continued to work from home and operate the business until her death in 2008. Brad is now the owner of Gallant-Riverview Funeral Home and Riverview Memorial Gardens and operates the business with the help of his oldest daughter, Brooke Fanning, who joined the staff in 2010. The tradition continues as she marks the third generation of the Gallant family to have the honor of serving the people of Fayetteville, Lincoln County and surrounding areas.